Wandering freely among Egyptian carvings and Roman mosaics, Islamic ceramics and Renaissance oils is a liberating experience, with the artefacts given new life freed from the damask-lined corridors of their Parisian parent. 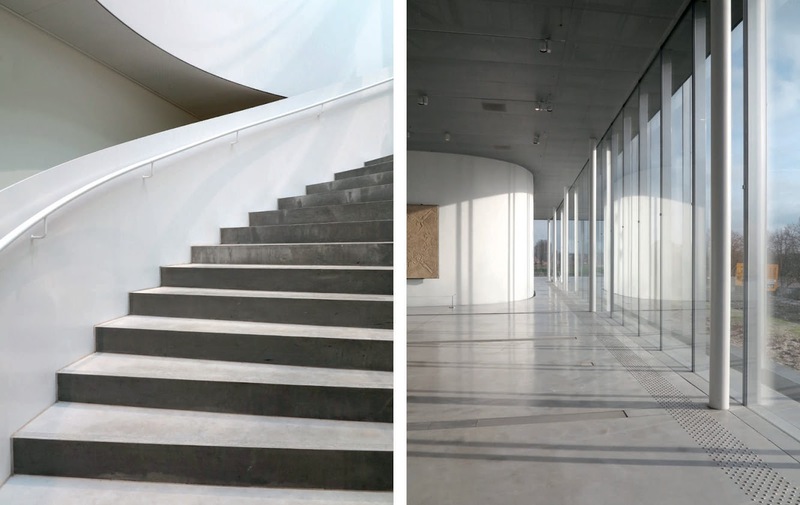 It feels like a private view inside the museum's out-of-town storage facility – with the concrete floors, metal walls and exposed beams to match. 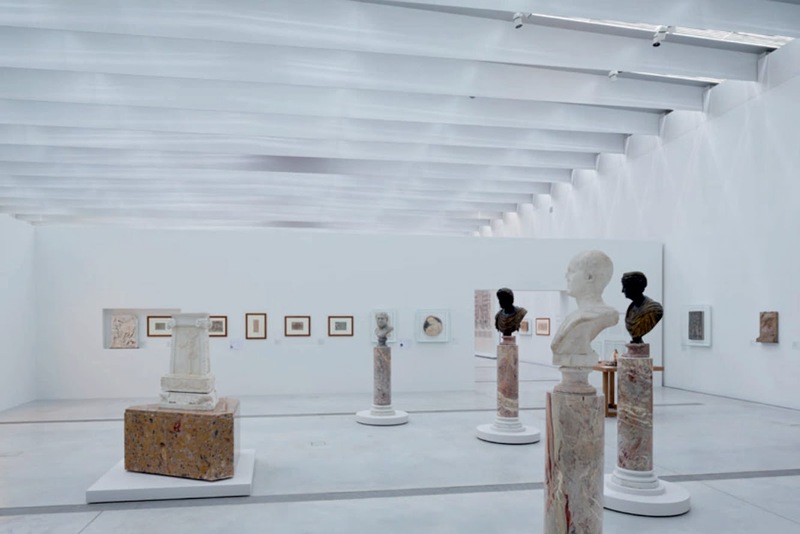 "In the Louvre in Paris, everything is exhibited in rigid departments, like an encyclopaedia of art," says Adrien Gardère, responsible for the exhibition design of the Lens outpost. "Here we are bringing sculpture and painting together, from different periods and geographical areas, to create fruitful confrontations." 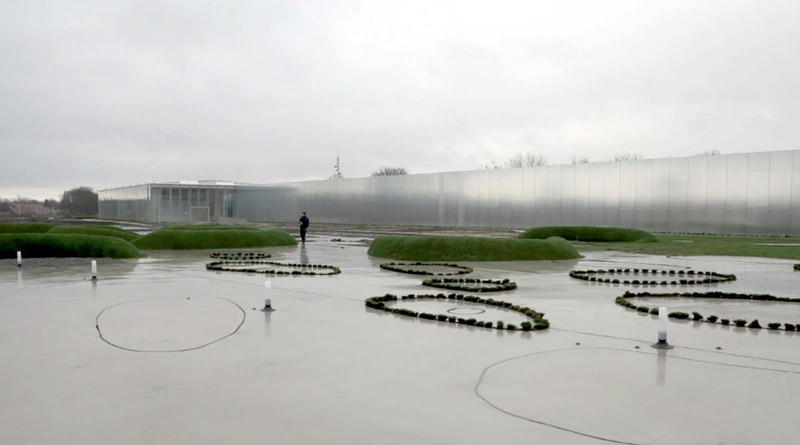 It is a radical curatorial approach that has not gone without criticism in the French press. Harry Bellet wrote in Le Monde that putting everything in one room risked it looking "like a bookshop where all the books are muddled up". He might not have realised that this is precisely the attraction: you never know what you might stumble upon next. Another move that has raised museological eyebrows is the continuation of the clinical palette within the gallery itself, creating a space somewhat reminiscent of an industrial abattoir – six millennia of art history lined up for the slaughter. Yet the material surfaces are always elevated above the utilitarian. the brushed aluminium walls, gently warped, create a ghostly backdrop of reflections, a blurry mingling of people and artwork. 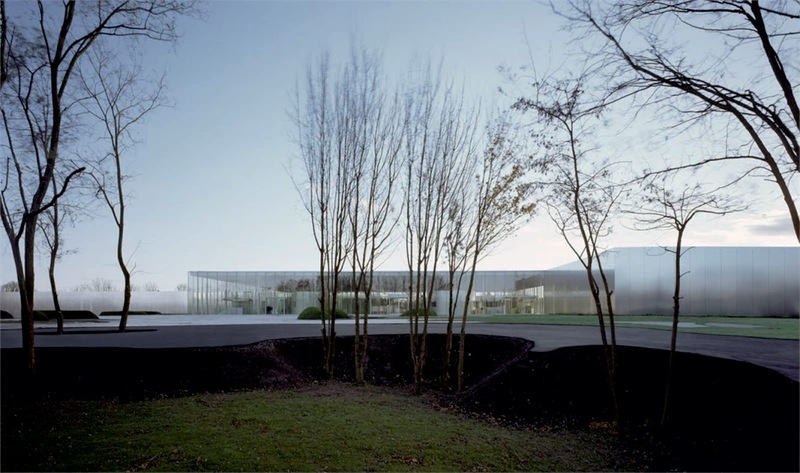 The concrete floor follows the sloping topography of the original site, a subtle move that reminds you where you are. the exposed steel roof beams, spanning the 25m width of the hall, have been slimmed to a miraculous 12mm thick, which allows natural light to wash over the space. 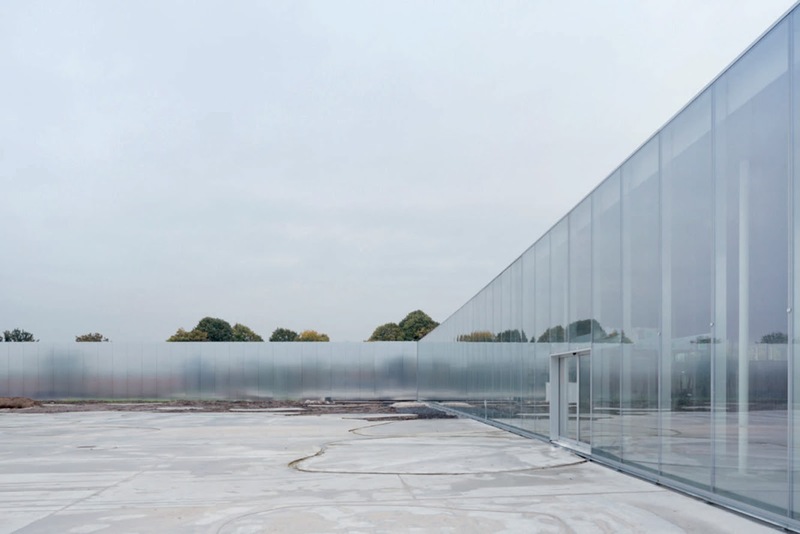 Beyond this principal Galerie du Temps, the building rises up into a glass pavilion for temporary exhibitions (currently filled with gigantic puppets from local street parades) with views across what will one day be a wild meadow landscape, designed by Catherine Mosbach. 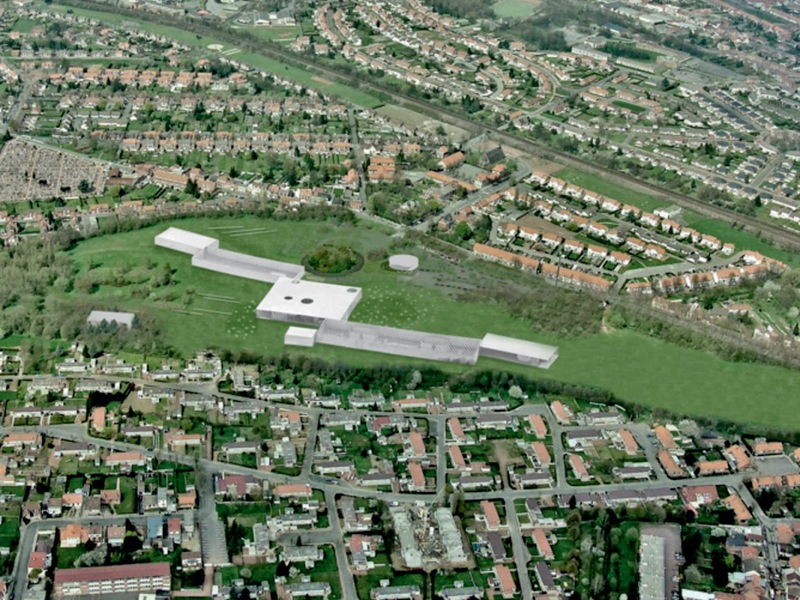 Here, winding paths follow the original haulage routes across the site, punctuated by grassy worm-like landforms, which serve a dual function as picnic spots and ram-raiding defences – an increasingly common coupling in the current climate of terrorism-driven urban design. 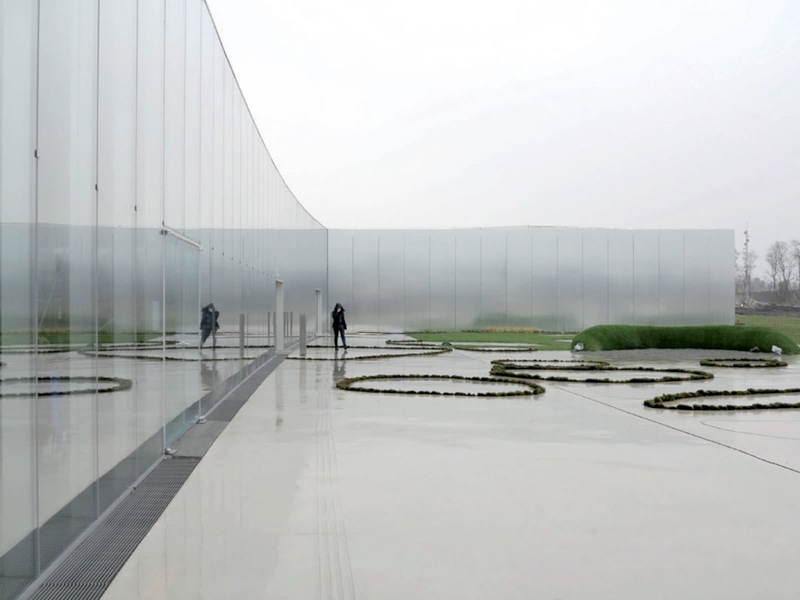 The pairing of glass box and metallic shed is replicated the other side of the complex, in the form of the central entrance pavilion and secondary gallery space, currently arranged as a more conventional suite of rooms. the glazed entrance block is populated by Sanaa's trademark amoebic glass bubbles, containing bookshop, resource centre and members' area, which gleam like a cluster of petri dishes on a lab bench. 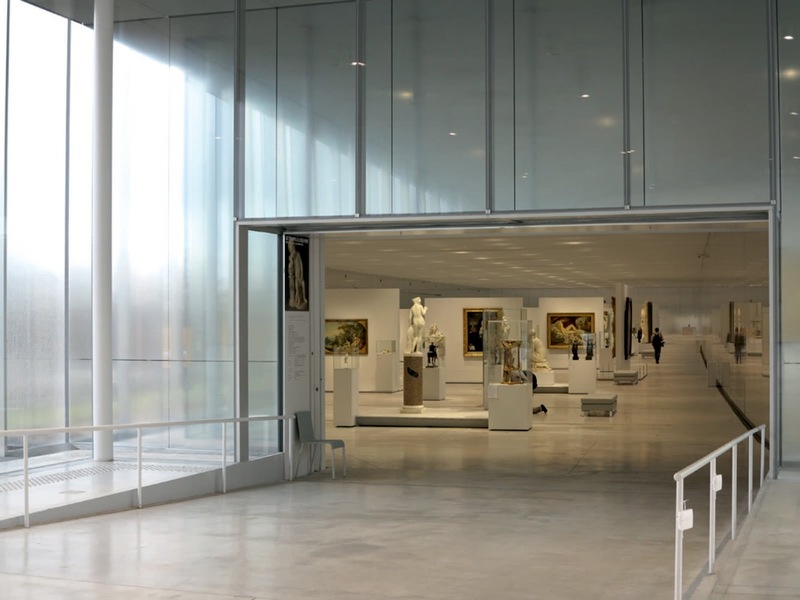 This disorienting space of transparencies and reflections forms the central fulcrum from which the gallery wings extend, with an auditorium beyond the second exhibition hall. From the entrance, a spiral stair – reminiscent of the one in the Louvre pyramid – descends into the bowels of the building, where you can look down on the storage racks and see conservation work in progress. It is all part of the attempt to open up the museum to a broader audience, exposing this never-before-seen side of the institution. 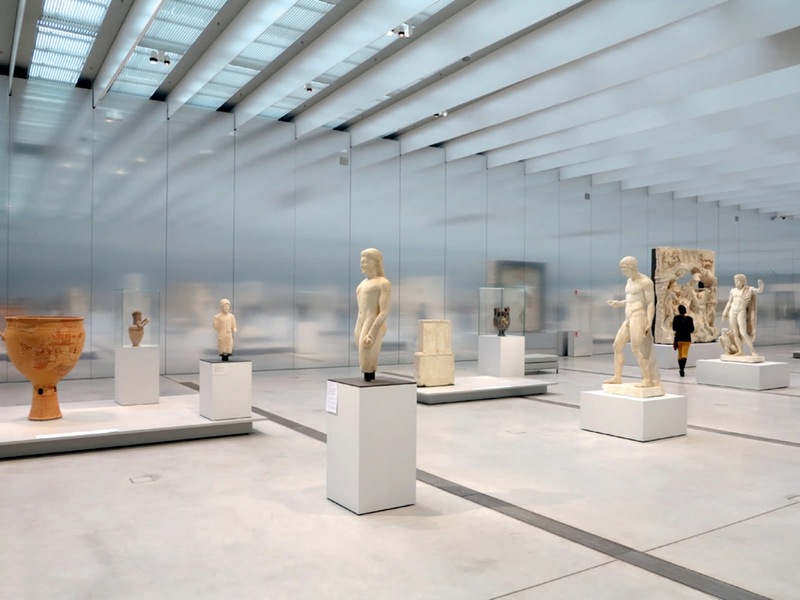 As a means of breathing fresh life into the Louvre's collection, and providing an overview of the history of art to a wider public, it is hard to fault this project. Sanaa's architecture may seem materially alien to the site, but its combination of industrial utility and fragility is an apt reflection of the surrounding context – at once rugged and vulnerable (although perhaps slightly too vulnerable, in the brave choice of 2mm thick aluminium cladding). Source: Oliver Wainwright of The Guardian. 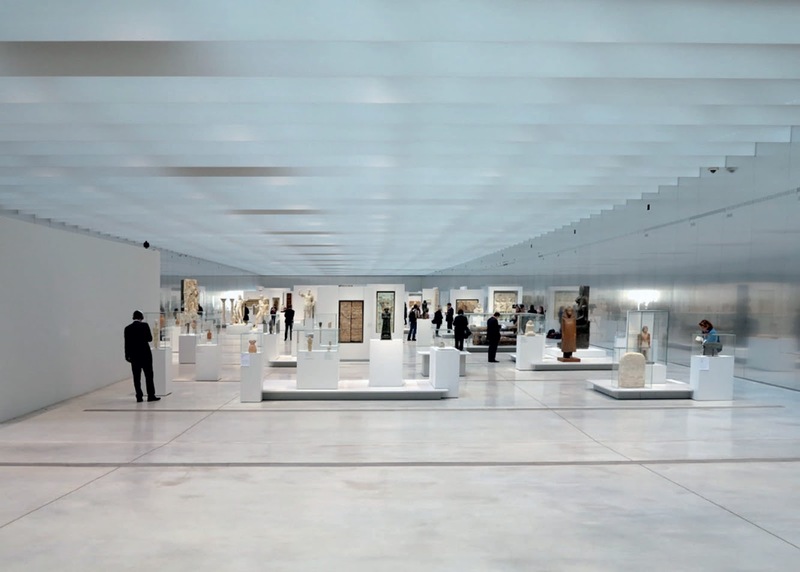 Since the construction launch of the satellite museum, the Louvre Museum has proceeded with its expansion plans, notably with the recent opening of the Cours d'Islam in Paris and the Louvre Abu Dhabi by Ateliers Jean Nouvel, currently under construction.